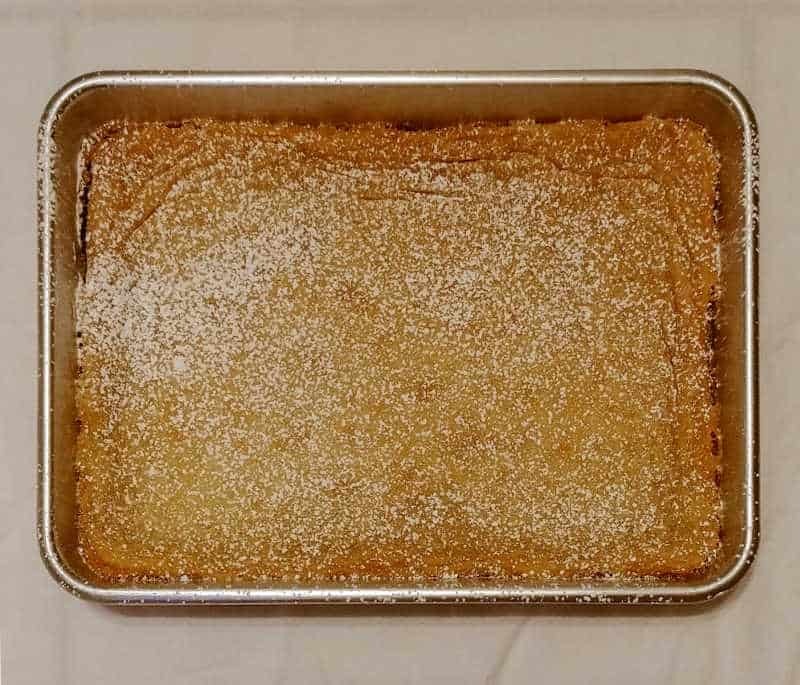 I’ve made St. Louis Gooey Butter Cake on this site more than once. But honestly, what’s one more recipe? 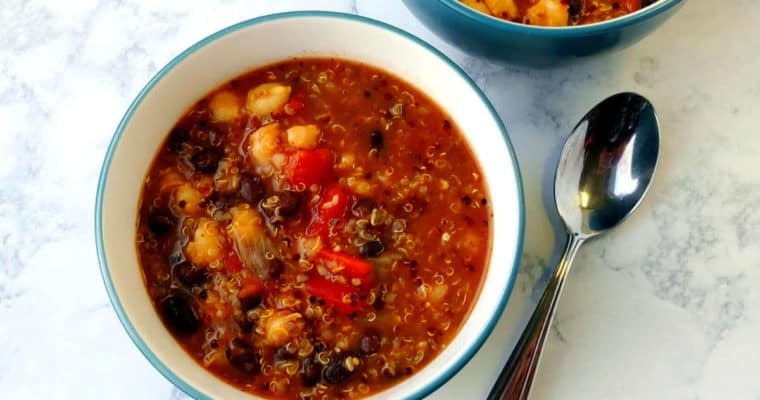 In fact, this is the best recipe that I’ve tried yet. 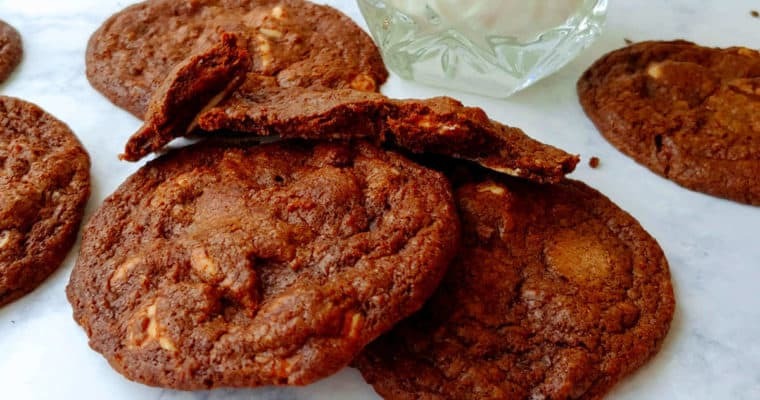 This recipe baked how it was supposed to, without being overdone, on the first try. 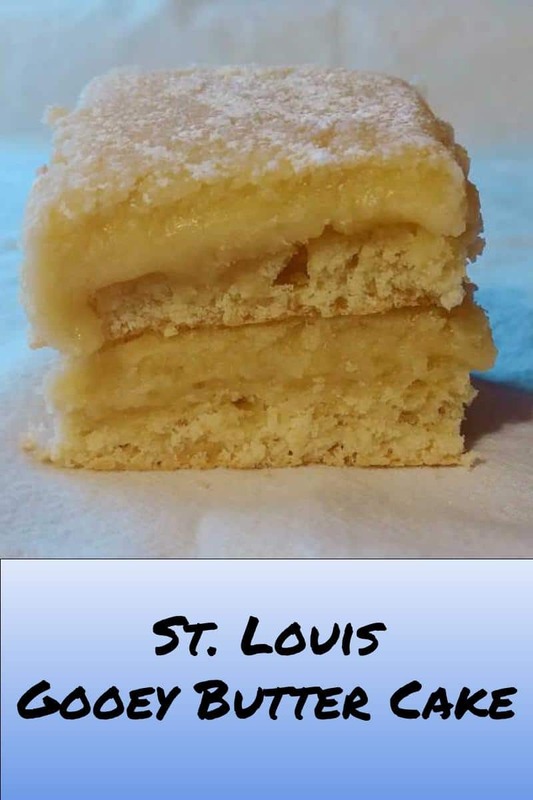 Gooey Butter Cake is a delicious, St. Louis dessert. 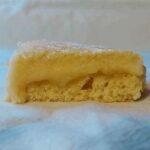 It’s a layer of soft, sweet, buttery goo on top of a thin, tender yeasted cake. 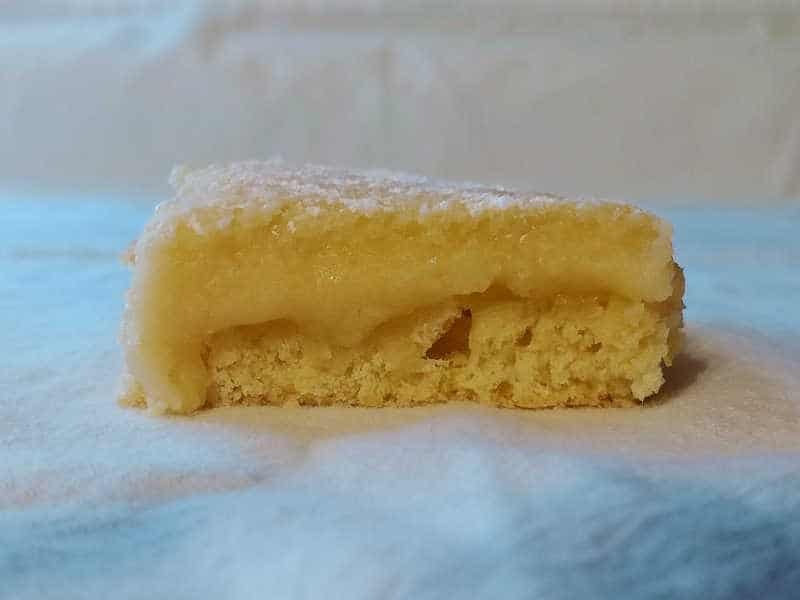 In texture, it’s a bit similar to lemon bars – which are also soft goo on top of a buttery crust. 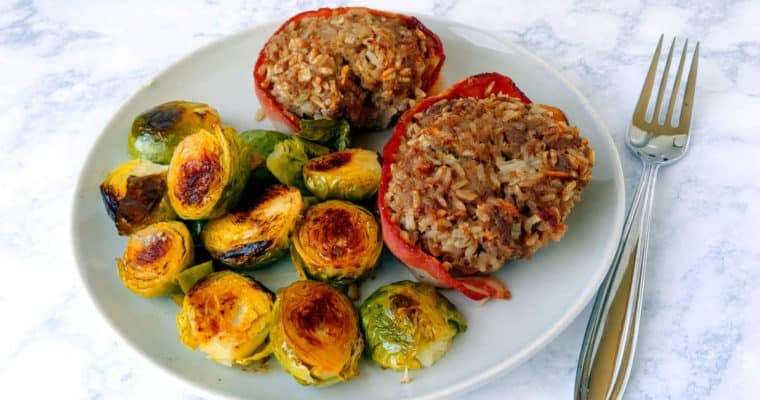 I didn’t actually discover it when I lived in St. Louis the first time – I was introduced to it at work by a coworker in Illinois who would make the Paula Deen recipe for any potluck we had. I made those a few times too, 10 years ago. Unfortunately, I also didn’t eat much of it when I lived in St. Louis a second time a few years ago, either. Although, most restaurants we had cater lunch would give us gooey butter cookies for dessert. I lived for those leftovers. The cookie version is amazing. I really like this more traditional recipe from King Arthur Flour. It’s more complicated than the Cinnamon Gooey Butter Cake that I made last year. That was a little easier and faster – a sugar cookie base, topped with goo. The bottom of this cake is breadier, since it’s made with yeast. That said, this isn’t hard to make. Just mix the dough together for few minutes (I used my stand mixer, but used the paddle attachment), then press it into the pan. Let rise – the dough has a lot of butter, so it won’t get very puffy. Mix together your vanilla-y, buttery goo with an electric mixer, and dollop and spread along the top. To me, the most challenging part of making this cake is knowing when it’s done. The original King Arthur Flour recipe said to bake 30 minutes in a metal pan, and 45 in a glass pan. I was nervous that mine wasn’t done, so I continued to bake it – which was entirely unnecessary! (That’s what my pictures of the full pan show – a version done at 38 minutes. It shouldn’t be so brown.) 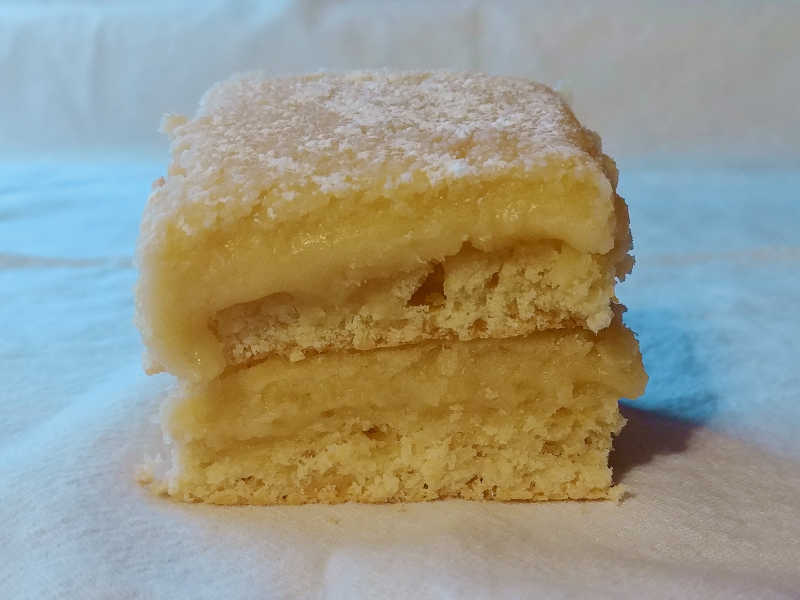 Even baked a little extra, each batch was delicious – much better than my two earlier traditional versions. But it was perfect at 30 minutes – the topping was soft and gooey. 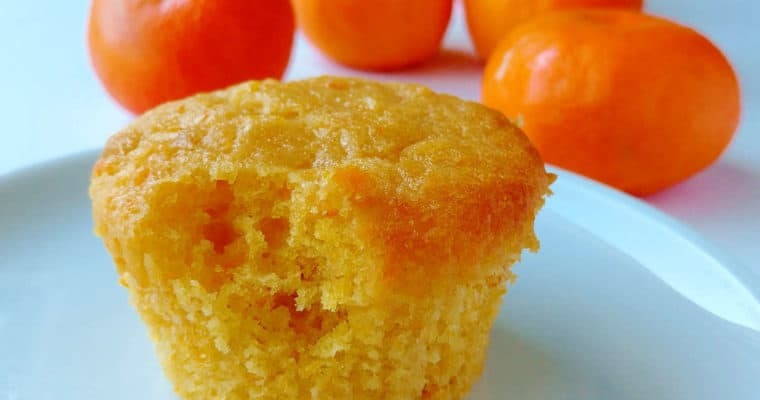 When you check on the cake at 30 minutes, the center of the cake will still be liquidy batter, and won’t look done at all. 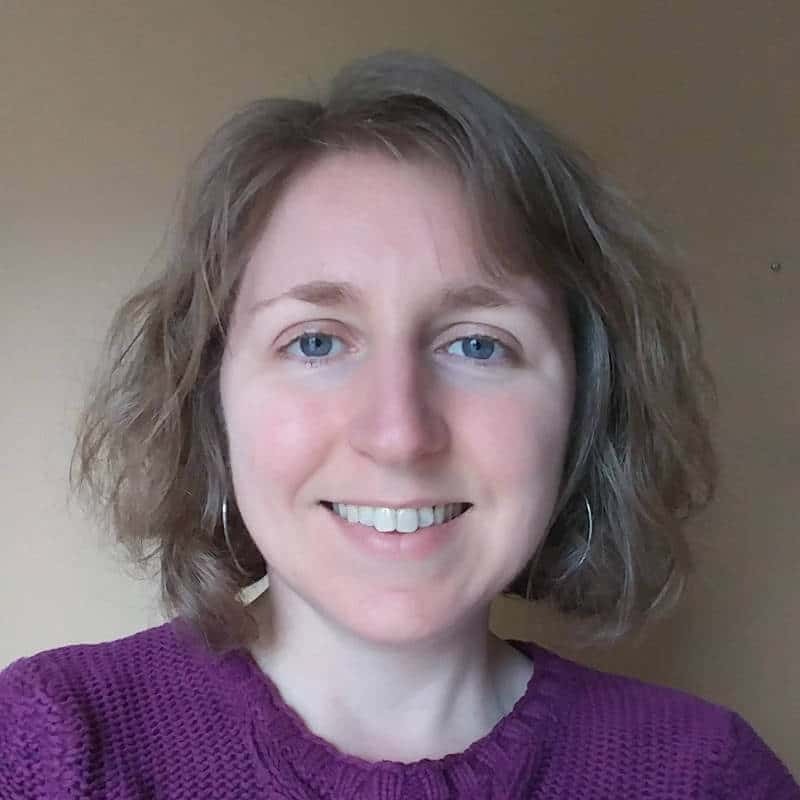 That’s okay – it should be! Also, the goo will be puffy when you pull it from the oven, but it will deflate as it cools; when that happens, don’t worry! Although you store these in the refrigerator, bring them back to room temperature before serving. They’re best (and gooeiest) that way. All pieces of these are wonderful. I love the caramelization and chewiness on the edge pieces, but the center pieces have the most goo. Please make these for a potluck, or as an unconventional coffee cake. Share with your friends – it’s what we do in the Midwest. You won’t be sorry! 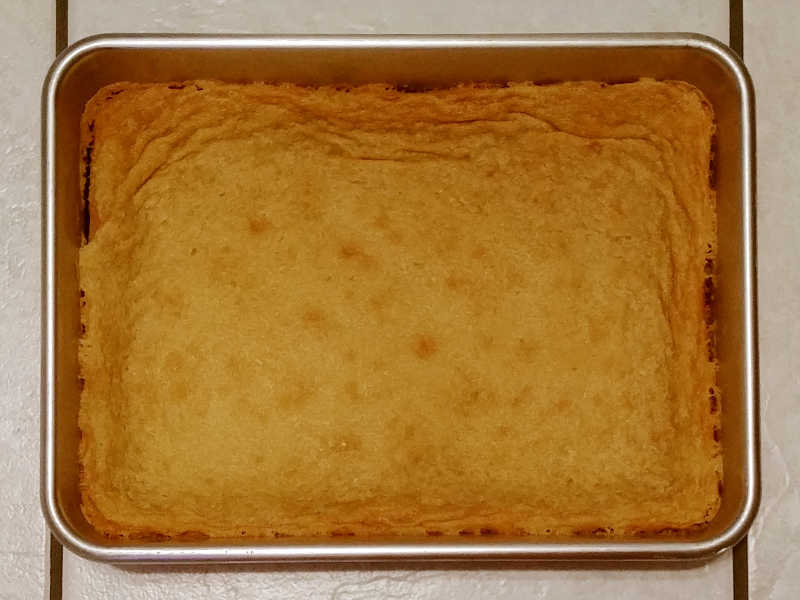 For comparison, you can check out my review of the St. Louis Gooey Butter Cake recipe from the New York Times, and this St. Louis Gooey Butter Cake recipe adapted from Old St. Louis Bakery via the St. Louis Post-Dispatch. 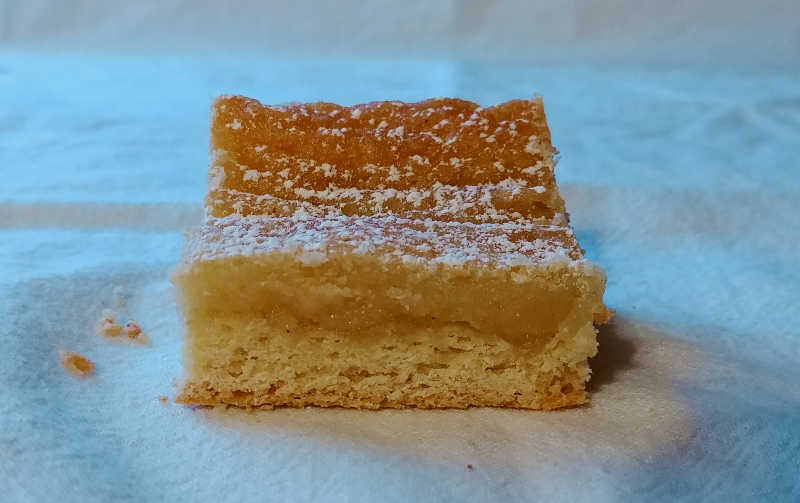 You can also try Cinnamon Gooey Butter Cake. Is this delicious yeasted cake dessert, or breakfast? With a yeasted base topped with vanilla-y, buttery goo, that's up to you. With a stand or electric mixer, beat together the butter, sugar, and salt for a few minutes, until fluffy. Scrape the bowl, then add egg and mix until incorporated. Pat dough into a greased 9x13 inch pan, stretching it out to the edges. Let the dough rest for a few minutes if it doesn't stretch out, then pat it out the rest of the way. Cover and let rise for about 2 1/2 hours. Dough may just be puffy; it may be doubled; or it may seem no different. Those are all okay. About 20 minutes from the end of rising time, preheat the oven to 350F and make the gooey topping. Using a stand or electric mixer, cream together the butter, sugar, and salt until light and fluffy. Scrape the bowl, then add the egg and mix until combined. In a small bowl or measuring cup, whisk together the corn syrup, water, and vanilla. To the butter mixture, add half the flour, then the corn syrup mixture, then the rest of the flour. Scrape down the bowl, then mix for 30 seconds more. Spoon and spread the topping over the cake dough. Remove the cake from the oven and cool completely in the pan. The filling will initially be puffy but will deflate as it cools. 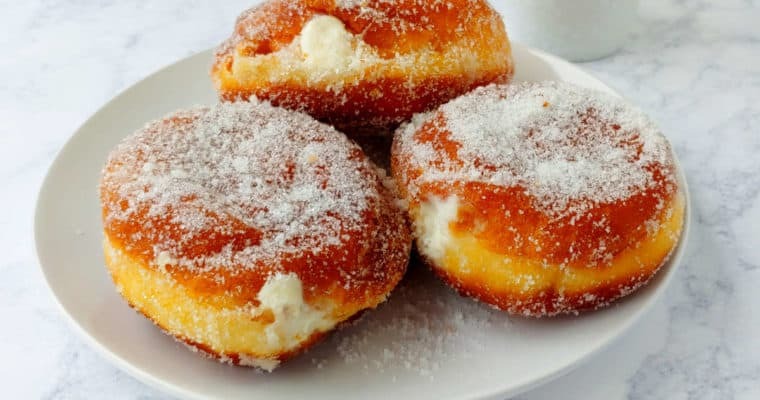 Dust with powdered sugar before serving. Store in the refrigerator.